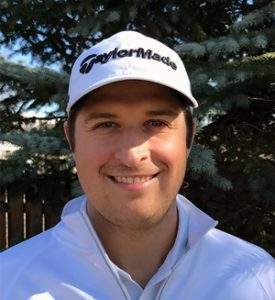 Victor Ciesielski has 20 years of experience in competitive golf on every level; from junior golf to touring professional. Victor’s passion for the game of golf from an early age has inspired him to turn his focus towards the development and growth of the sport. Whether you’re new to golf, or looking to perfect your swing, you’ve come to the right place. Let’s take your game to the next level! Private 30 minute $ 55.00 tax incl. Private 1 hour $ 90.00 tax incl. Private 1 hour (Series of 3) $250.00 tax incl. Private 1 hour (Series of 5) $395.00 tax incl. Private 1 hour $ 65.00 tax incl. Private 1 hour (Series of 5) $300.00 tax incl. Private 1 hour (Series of 10) $550.00 tax incl.